Hot Glew’s latest release “Contact High” is now available on cassette through Free Kittens Records. “Contact High” is four tracks of dreamy lofi with psychedelic overtones, fuzzy beats, droney vocals and a little synth added into the mix to give the tape a unique sound of its own that sets it apart from the typical lofi bedroom pop or ambient styles. Each track has a definitive sense of its own flair that sets it apart from the other tracks on the album, and yet it is that individualized flair that unifies the album as a whole. Tracks like “Float” and title track “Contact High” have an almost breezy, summery sort of feel with chimes and an overall hazy and mellow atmosphere, whereas tracks like “Away” more prominently feature synth with ample feedback and an ambient, perhaps trance-like vibe. This tape is the perfect addition to any collection looking to add some laid-back experimental music as a soundtrack to their day. 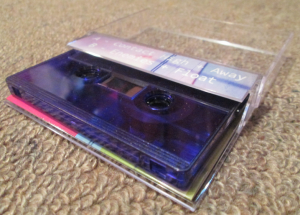 For fans of experimental, ambient, lofi, bedroom pop or anything with a psychedelic feel, be sure to pick up Hot Glew’s “Contact High” from Free Kittens Records, available now in limited edition of only 10 translucent purple cassettes! Pick Up Hot Glew’s “Contact High” Here!